Greer, SC: Ms. Earline Foster, 93, of 112 Harris Street, passed peacefully in her sleep in the comforts of her home, surrounded by family and friends on Saturday, January 13, 2018. Daughter of the late William and Irene Foster, she was born in Spartanburg County SC. 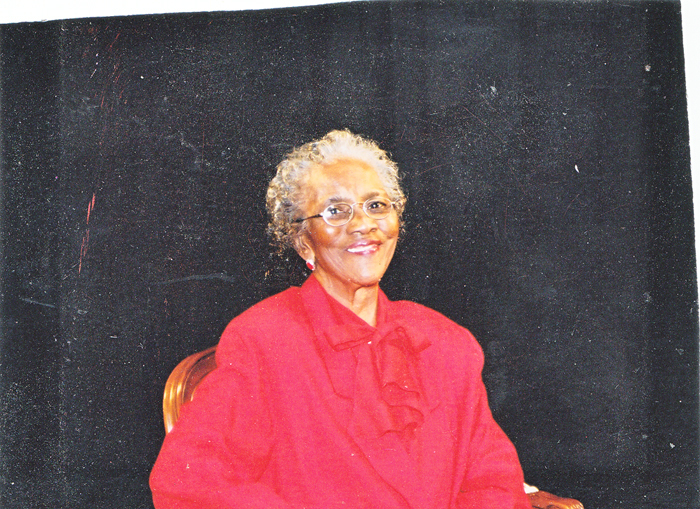 Earline attended the public schools of Spartanburg County, SC, was a former employee of The McCarter Family and a member of Piney Grove Baptist Church. She was preceded in death by her brothers: Issac, Jacob, Joseph and Esau Foster and her sisters: Mrs. Lousiana Davis, Mrs. Floree Smith, Mrs. Marie Glenn, Mrs. Lorene Ballenger, Mrs. Corrine Dodd and Lulu Mae Ferguson. Surviving are: sons, Bill (Janet) Foster of Mauldin, SC, Malcomb (Jennifer) Foster of Wellford, SC, Paul and Lewis Foster of the home; daughters, Mary (David) Casey, Betty (Perry) Dennis, Flora (Victor) Jones and Rosa (Washington) Cobb, all of Greer, SC; sisters, Aza Lee Watson, Hilda (Harrison) Gregory and Mildred Oliver all of Greer; 20 grandchildren; 23 great grandchildren; 11 great-great grandchildren; a host of nieces including Dianne Mack of Greer; nephews, other relatives and many friends. Funeral Services will be held 1:00 pm Saturday, January 20, 2018 in Piney Grove Baptist Church with Pastor Randolph Hawkins and Rev. Jesse Irby,Officiating. Burial will follow in the Church Cemetery. Her remains will lie in State at the Church after 12:00 Noon Saturday.